Two-Day route through the 4 lakes. 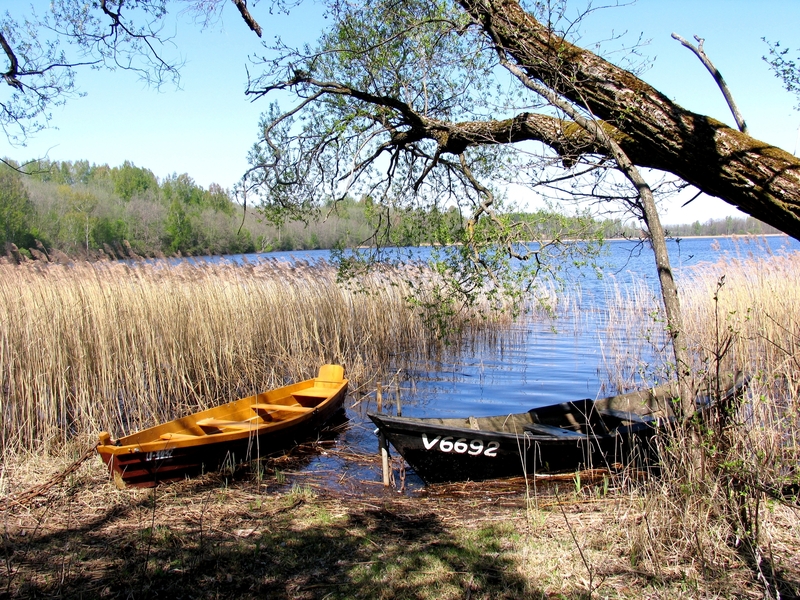 Rubikiai Lake stands out not only for its size, but also for its beautiful 16 islands, which all have names: Varnagrotė, Bučinė, Česnakinė, Liepinė, etc. Rubikiai Lake is connected with Dusynas, Liminas and Mūšiejus lakes. There are many campsites and resting places around the lakes with convenient infrastructure. The start of the route is "Žuvienės pašiūrė" - a cafe on the shore of the lake. Go to the South direction, soon you will reach the island, where you can climb off the boats and have a look at the mound of Rubikiai. Then go more to the south and will sail between Bučinė and Didžioji islands. 2.5 km to the south you will reach Dusynas Lake. Sail into it and go off to the shore in the campsite. Then you can easily walk to the Bijeikiai Tower (15 m. high). Later on sail along the Dusynas, Liminas and Mūšiejus lakes. 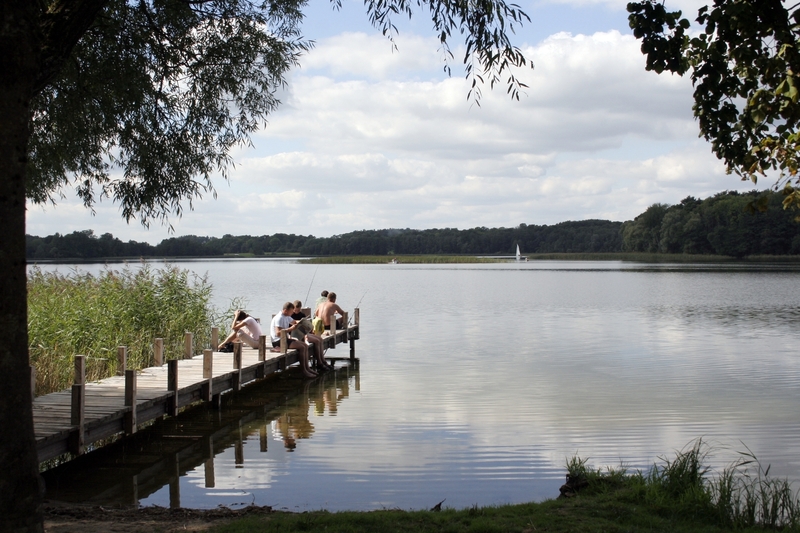 In the southern part of Mūšiejus Lake is a campsite. You can stay there for the night. To the south for about 1.3 km is Buivydai Mound and Buivydai Tree. In the morning, sail back. When you reach Rubikiai lake, keep it to the right and after 3 km you will see Kriokšlio campsite. Here you can take a rest. Then sail to the right and after about 1 km you will reach the Mound's Mound. Sail to the north and you will finish the route. The length of the route is 18,5 km.